Beautiful Maui rose in red, yellow, green, white on teal. The red Lokelani or "rose of heaven" is very delicate. 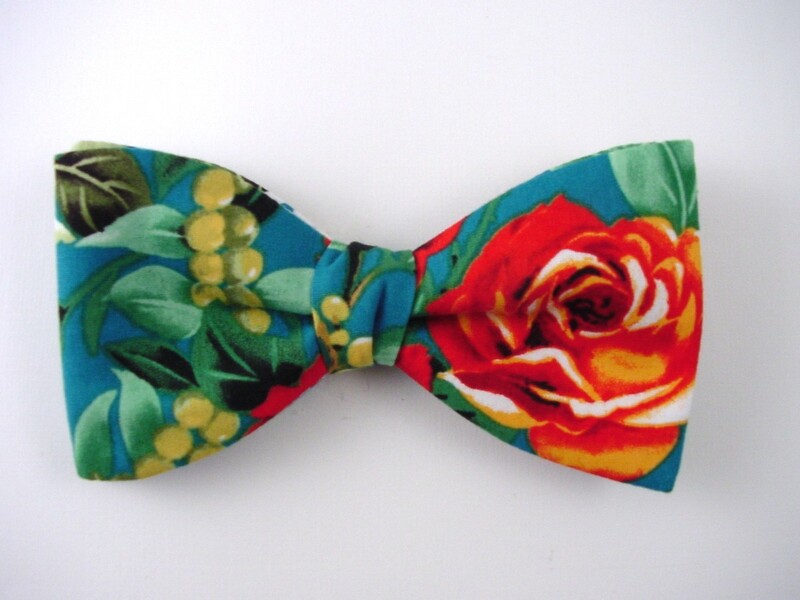 Bow tie with original tropical flower design. A great choice for a special event.